’The Waiting Game’ is the latest book by Jessica Thompson. Nessa Bruce waits for her husband to come through the double doors. She’d waited for him to return home from Afghanistan for what felt like forever, and now the moment was finally here. But Jake isn’t… Jake Bruce hasn’t come home, and it looks like he never will. Nessa’s life – and that of her daughter Poppy – is turned upside down in an instant. What has happened to the elusive man at the centre of their world? They hold onto the hope that he is still out there somewhere, alive… but as time passes by, Nessa is forced to look at her life, at the decisions she has made and the secrets she has kept. For maybe somewhere within it all lies the answer to the question she’s desperate to answer – where is the man she loves? Jessica has firmly become one of my favourite authors. I immediately fell in love with her writing when she released her debut ‘This Is A Love Story’ a frank and honest account of a relationship between a boy and a girl and how blurred the lines are between friendship and love. Her books are from the heart tales about current affairs, that strike a chord and usually leave the reader with a lump in their throat and ’The Waiting Game’ is no different. In this story, we meet Nessa Bruce, a quiet and sweet young woman who has committed her life to her husband and teenage daughter. Given up on her dream of becoming a midwife, she has let Jake, her husband follow his dreams of becoming a solider and waits for his term to complete from Afghanistan so he can return and make their small family complete. Whilst she waits for him, she has to put with her moody and ungrateful daughter Poppy, who openly looks down on her mother and worry about finances, as she struggles with her librarian job, she tries to provide for her high maintenance daughter, but it’s never good enough for the stroppy teenager. But one day, she Nessa hears the news that she has always feared, that Jake has been involved in an explosion fortunately he has survived the blast but is finding it hard to cope. When he returns home, Nessa is fully committed to looking after him but she never gets the chance because Jake disappears and Nessa has to prepare herself for the eventuality that he may never return. I loved Nessa, she was a sweet and strong woman who had an accepting and kind nature, always putting others first and herself last. She had a difficult childhood as she and her younger sister were sent to numerous foster homes and she never fully recovered from a particular incident. Her daughter, Poppy was very volatile towards her mother and this sometimes made for unsettling reading as she didn’t seem to realise just how much Nessa did for her. Another interesting addition to the story was Will, who was Nessa’s childhood best friend and has always been there for her. At some point in both of lives they were in love with each other, but time was never on their side and he provides Nessa with not emotional but financial support during this difficult time, with his hipster way of life, he injects some lightheartedness into this poignant tale. The story is written solely through the narrative of Nessa and flashes back and forth to various key moments in her life, from a teenage girl falling in love to marrying the love of her life. The story is a heartbreaking tale from the beginning and we see both Nessa and Poppy experience many moments of vulnerability and sadness as they deal with the fact that Jake has left them. There are many tender and bittersweet scenes that make for sad reading as they deal with their grief. Written from the heart, ‘The Waiting Game’ is a touching and sensitively written story that focuses on many issues such a dementia, grief and domestic abuse and shows how profoundly and differently it can effect people and how they deal with the uncertainty in life. 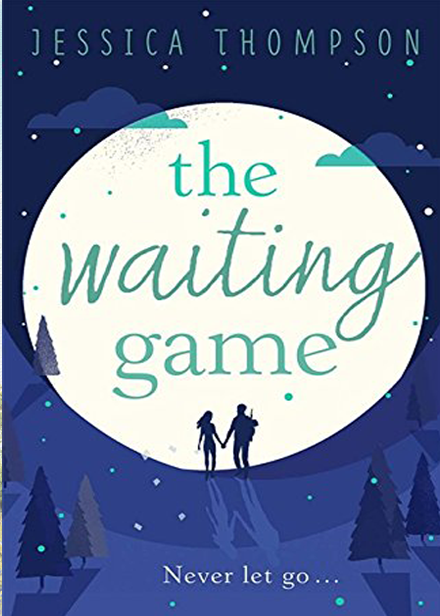 Now after reading my review of ‘The Waiting Game’ sit back and enjoy a letter that Nessa had written for her first love Will, but never had the courage to send. I know we’ve been friends for a long time, ever since we were sat together in science class, tasked with making a basic circuit in Year 7. I watched you as you fiddled around nervously with the tiny light bulb and the wires, barely able to speak to me. Your fingers trembled, your nails had been ferociously chewed. You were scared of girls in a primal way, like a mouse faced with a cat and no way of escaping. I thought you were a bit funny back then, if I’m honest. You smelt like mothballs, and you were horribly uncool. Your choice of words was pretentious, and you babbled on about things the rest of us didn’t understand. You were so vulnerable really, and so I just wanted to look after you. I guess I took you on as a project. But then you changed so much Will, and so suddenly too. Within just a few years you went from this spindly, knock-kneed Year 7 with a mouth full of brace, who would regularly fall over his own satchel while running for the bus, to this incredibly handsome lad in Year 10, with big broad shoulders and a smile to match. I mean look at you, Will… Do you ever look at yourself in the mirror, and realise it, realise how gorgeous you are? I noticed the change. Not just in you either, but in the way the others at school responded to you. Boys started high fiving you, and picking you for their teams in P.E. Girls gazed in your direction across the classroom, unable to concentrate on Mr Smith’s never-ending lectures on string theory and neutrinos. You didn’t notice, because you’re so lovely and humble. You don’t have an arrogant bone in your body, Will. Sometimes I feel like I don’t matter anymore, like you hardly notice me and I’ve melted into the background. Why would I stand out? I’m not like them. You get invited to all the cool stuff now, and you bring me most of the time, which is nice. But sometimes I wonder if you don’t see me as a bit of a little sister type, hanging around and tagging along? Perhaps you feel like you should, because I was your only friend back then. I can’t believe how lovely you are Will, and you just keep getting better. At 15, I’ve never loved someone before, but I’m sure I’m falling in love with you… When you call out my name my heart flutters, whenever you’re near me I feel like I could fly… I think of you all the time, hoping that one day you might pay me some real attention, like you do those pretty girls at school. I don’t know how to tell you, or even when to tell you. I don’t know if I will ever pluck up the courage to give you this letter… Do you know that I’m falling for you Will? Is it obvious on my face, and the way I speak to you? Are you surprised, and will you laugh at me, or do you feel the same? You can buy The Waiting Game from Amazon and is available to buy from good bookshops. If you enjoyed today’s stop on the tour, then check out the poster below and follow the tour.